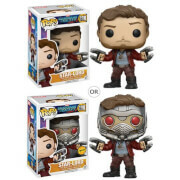 A limited edition of the amazingly popular Dancing Groot figure from the last scene of Guardians. This version comes all ready as the perfect Christmas present. He comes in a green pot tied with a red Christmas ribbon, the box art also redone to reflect the new design. Going to be a big winner over the holidays. 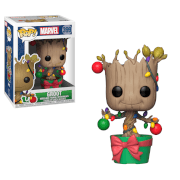 The Holiday Dancing Groot POP! 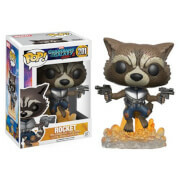 vinyl figure stands around 9cm tall.